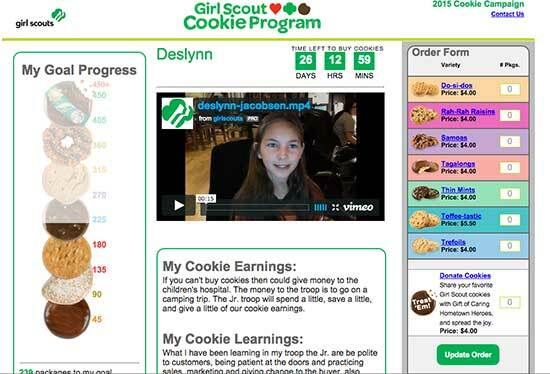 Startup Marketing - How To Rock Your Marketing...Like A Girl Scout? 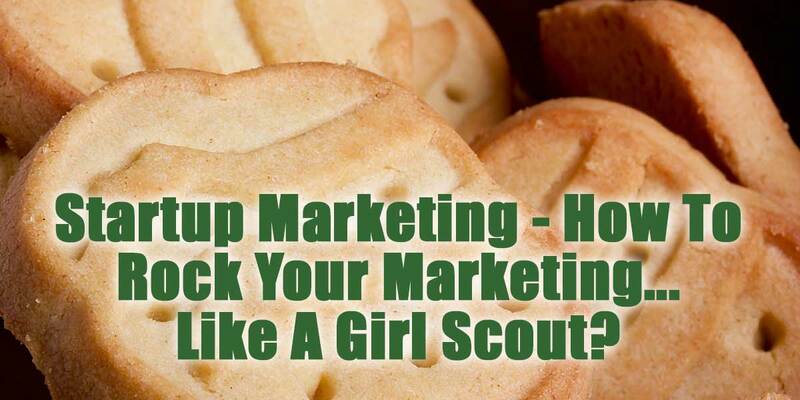 You are here: Home / startup marketing / Startup Marketing – How To Rock Your Marketing…Like A Girl Scout? 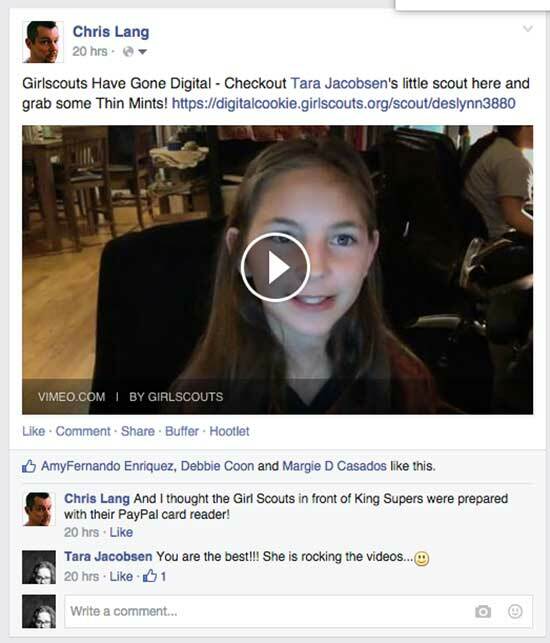 Startup Marketing – How To Rock Your Marketing…Like A Girl Scout? 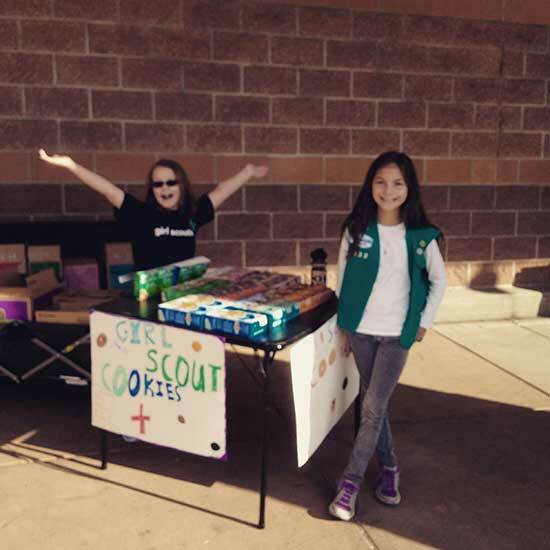 If you are looking for some great startup marketing tips, look no further…find out how to market like a Girl Scout and skyrocket your sales!! So Gary’s advice was to go “clouds and dirt”, meaning try for viral online and then feet on the street! I think that we have accomplished this with our multi-pronged approach to selling. Here are some of the ways that we have been marketing the cookies with comparable ways you could do this for your startup! Every one of you is carrying around a high definition movie camera. We did one-on-one videos that we just texted to potential customers. If you are doing this for your business, I would definitely go through your contact list and see if there there is anyone who expressed an interest in your product or service and who might well buy if sent a personal message from you! Another way you could this is to contact the “connectors” in your personal life…you know those people who seem like they know everyone. You could tell them a tiny bit about your business and offer to take them to lunch. It is funny, our brains are wired to think we “saw” someone when we watch a video or see them in a photograph. Whether they answer your text back or not, I guarantee that they will notice that you sent them a video! Unless you are starting a tech company, DO NOT under any circumstances try to “develop an app” or do anything crazy out of the gate technology-wise. Without a critical mass of people who even know you exist, it is a waste of time to try to build the biggest website or the grandest Facebook contest ever. 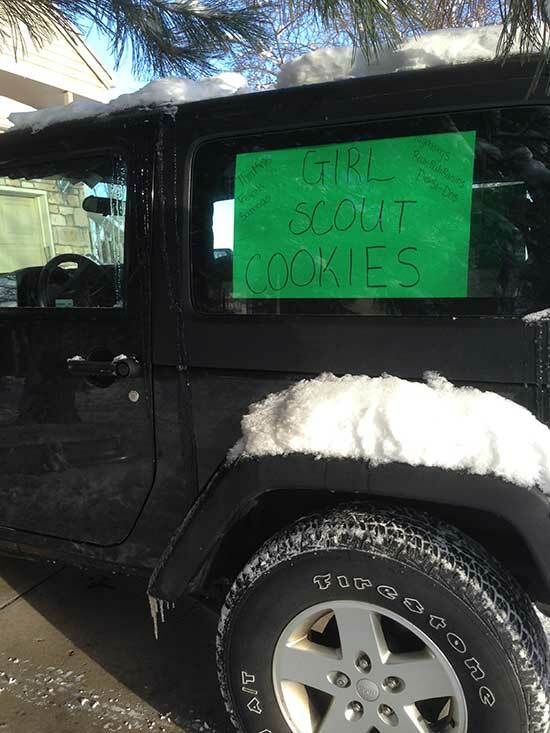 We used the website the Girl Scouts gave us because the order form and delivery were built right in. Now, I do recommend that legitimate companies use a self-hosted WordPress website, but I honestly can’t tell you how many times a business owner has come to me with a tiny budget and said they want to build Amazon. First off, there is already an Amazon so unless you have DEEP pockets, sell your stuff there or on Ebay or Etsy instead. Second off, I love the process of building a bit of your empire and then making sure there is a need in the marketplace and then doing that again. So I feel like Social Media was the least effective way of selling cookies. While we did hook up with some out of town people, there were not crazy orders coming in from Facebook or Twitter that were not people who weren’t already following along with our lives. I think that there would be a chance that I could try to “go viral” with some of the people that I know, but because this is so personal to me, I just reached out either with a Desy video or even an email from me, rather than blasting “buy my cookies, buy my cookies” over an over again on Facebook or Twitter. That said, we got some fun shares! 1. You have to brand yourself. 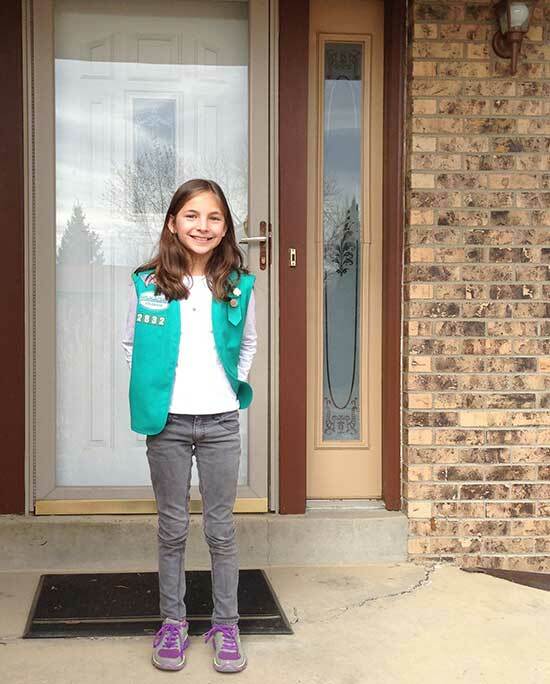 Once we got Desy a Girl Scout vest, we made sure she wore it whenever we left the house. At Michaels Craft store we sold two boxes to a lady passing by and in the beauty parlor we sold $44 worth of cookies to the hair gals who asked Des if she was selling cookies. In the real world you need to make sure people can tell by looking at you what you do. This can be by wearing a t-shirt with your logo, having a nametag or even wearing a branded hat. We also put car signs on our Jeep. This is a great way to let people know what you do! Bonus points if you put your picture on your car signs! As a startup, you need to be ready to take advantage of every opportunity that comes along when someone notices what you do. 2. Sell an established product. I have talked to A LOT of people who want to find something super new and innovative to sell. They want to “create the market” and “dominate a new industry”. I am here to tell you that selling something that is widely recognized takes a lot of sting out of the sales process. Now I do think you should niche down as far as possible in your industry, but don’t try to make your products and services sound so new and weird. Give people a framework for understanding what you do and then you can differentiate yourself with your own key benefits. 3. Don’t be afraid to show up. We signed up for the cookie booth table, even though we knew those sales would be a small percentage of our actual numbers. That said, Desy gained the camaraderie of being with her new troop members and got a chance to see a bunch of real time reactions to her pitch. For startups this could mean attending trade shows or going to networking. Sales is great and fun, but until you tell lots of people about what you actually do or sell, it is hard to gauge how well the marketing place is receiving it. 4. Have handouts. It is great to have a business card to give people, but most times there is no “what’s in it for me” factor to that. If you are going to take the time to door knock, network or meet people, please make sure that you have some sort of “leave-behind” in case they don’t buy right away. 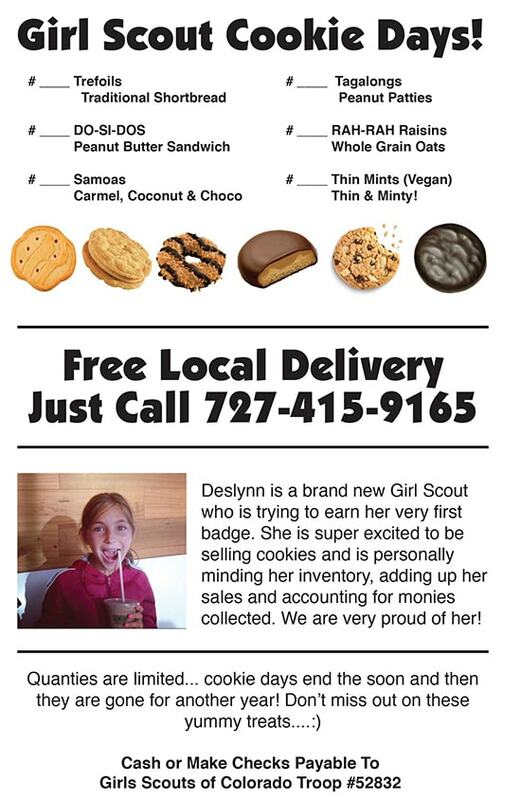 One of the things that I am super proud of is that Desy is not afraid to ask if you would like to buy Girl Scout cookies. As a business owner, you need to be brave like Desy and ask people if they would like to buy your product or service. The first few times it might be scary, but after that it gets easier and you will sell A LOT more!